Did you know that we might celebrate our 40th birthday this year? I did not know either. 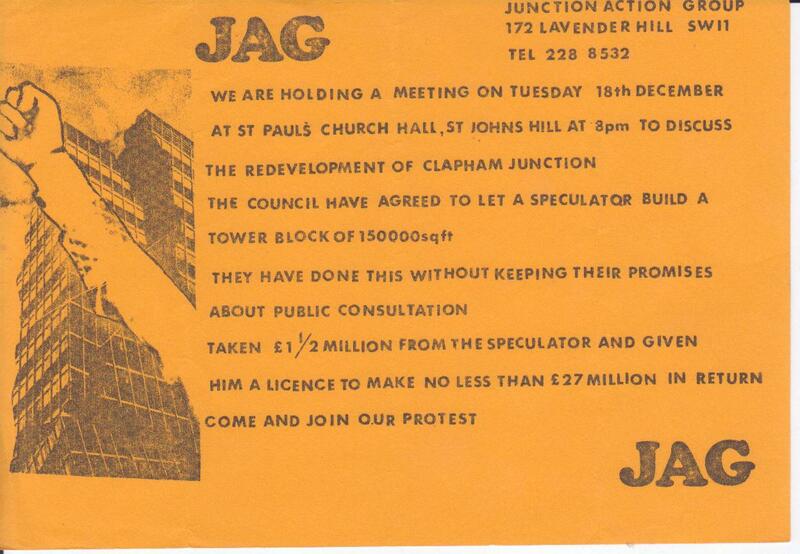 Actually we are not, but I received this document (below) which shows a leaflet from the (Clapham) Junction Action Group in 1973. Apparently our “ancestor” was already at odd with the Council claiming WBC agreed to let a speculator build a tower block (yet!) without keeping their promises about public consultation (yet! ); a Labour Council until 1978, with Cllr Ian McGarry as leader of the Council (and Tony Belton acting as Chair of the Planning Committee). The protest was organised against the Merbridge Investment scheme for the Clapham Junction station site! 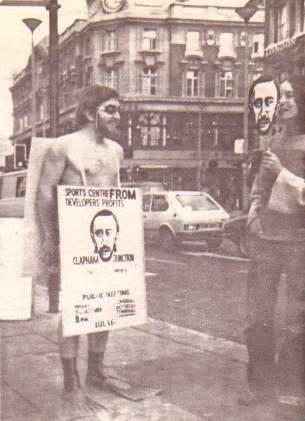 At that time, campaigning was tough, as proven by the image below! Do you remember this time? Can you tell us more?